We are excited about the commitment the auto makers are making to different sorts of electric powered cars or EV's. We feel since electricity can be produced from various means not just oil, gas, and coal. The hard work and potential environmental danger required to source and maintain oil and gas are mitigated with the use of electricity making our economies safer and hopefully creating less war and fewer oligopolistic energy giants. Sadly it takes a lot of patience(or perhaps now $5 gas at the pump-remember when $4 scared everyone)for humans to change their habits. The Volt has received some bad press recently regarding possible fire from crash testing of the lithium ion batteries when hit directly on impact. We feel this is just part of tweaking the design of a new machine. There have been no recalls to date. The Nissan Leaf has not seemed to have this problem in it's road testing but it's batteries are protected with a shell the Volt does not have. Is the Chevrolet Volt running out of juice? Even as the maker begins its long-promised production ramp-up, a new study suggests that potential buyers are rapidly losing interest in the plug-in hybrid vehicle. Through the end of July, Chevy has sold about 3,200 of the plug-in hybrids compared to 4,500 Nissan Leafs. But both makers have begun ramping up production, General Motors forecasting sales of around 16,000 for the year as a whole – including a small number of Volt clone Opel Amperas targeted at markets abroad. But a new study by CNW marketing raises a red flag, finding that the potential buyers GM is most counting on are rapidly losing interest in the Volt. In March, 21% of so-called Early Adapters said they were “very likely” to consider buying a Volt, while 38.1% said they were “likely” to do the same. That slipped to 14.6% saying “very likely” in July, and 31.1% “likely.” Among EV Enthusiasts, reports the CNW study, the number of those likely or very likely to consider Volt fell from a combined 71% to 51% during the same four-month period. “It’s way too early to tell, but the signs aren’t encouraging,” said CNW’s chief analyst Art Spinella. When it comes to mainstream consumers Volt has all but slipped off the radar screen, only about 3% of new car buyers likely to consider the Chevrolet Volt, the analyst added. The big problem is the plug-in’s price, CNW data indicate. 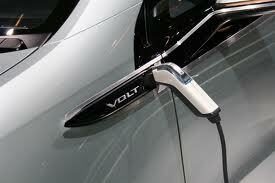 When first introduced, the Volt carried a $41,000 sticker, though it qualified for a $7,500 federal tax credit. For 2012, the Chevy will drop to $39,995, a $1,005 cut, though it is still thousands more than the Leaf – and nearly double the price of a base Chevrolet Cruze compact, which shares the same underpinnings as Volt. 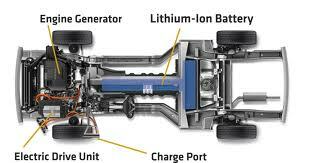 Chevy officials defend the price tag, pointing to the complexity of the dual gas-electric hybrid drivetrain. Volt is capable of clocking more than 35 miles on battery power alone. While that’s less than half of the range of the Nissan electric vehicle, the Chevy can shift to gas power and keep driving once its batteries run down. GM officials remain convinced that Volt will meet their expectations, noting the vehicle doesn’t need to generate a wide appeal to still reach sales targets – which the maker projects will grow to 40,000 in 2012, including both Volt and Ampera. GM’s commitment to electric propulsion is, if anything, being charged up. As TheDetroitBureau.com reported last week, the maker has inked a deal with battery supplier A123 that will be used for a range of new battery-electric vehicles that will begin to reach market in 2014.